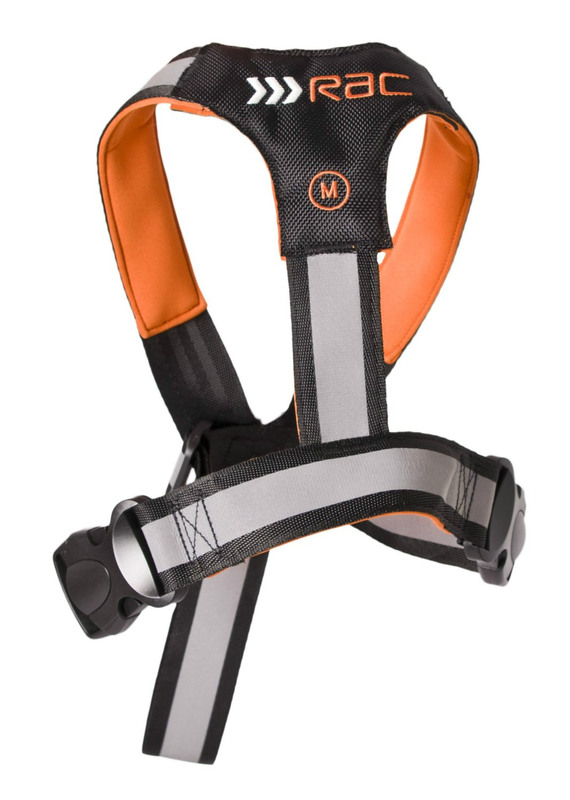 RAC Standard Dog Harness doubles as a car dog seat belt and a walking harness. The dog harness will also double up as a walking harness by attaching your dog’s lead to the D ring at the rear. This means that you can leave the harness in place on day trips to reduce the need to fit and remove it while out and about. Our dog harnesses are available in a range of sizes for different sizes of dogs. Use the size chart below to help you choose the right sized harness. Sizes are based on your dog’s chest size rather than breed as animals come in all shapes and sizes.